The statistic shows a breakdown of Sony's revenue from FY2012 to FY2017 according to the business segments reported by the company. 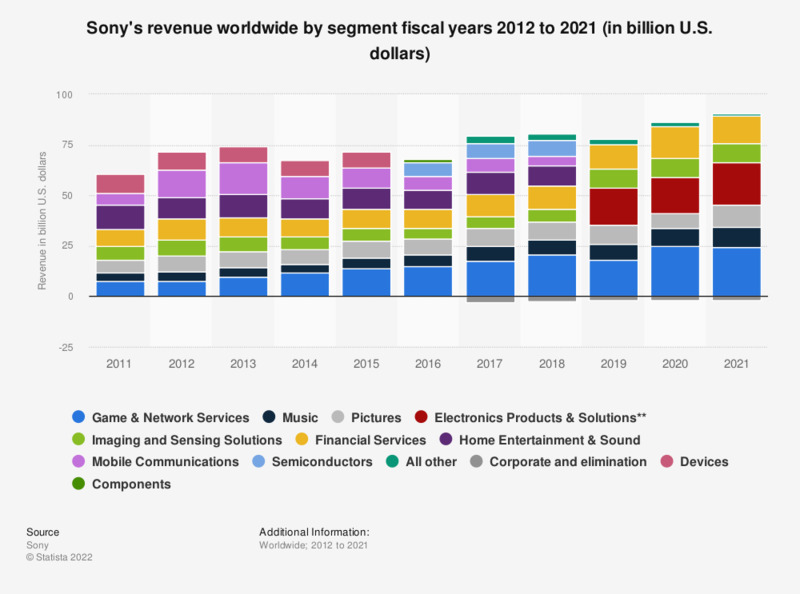 In the 2017 fiscal year, revenue from Sony's financial services segment amounted to 11.08 billion U.S. dollars. *Sony's fiscal year ended March 31 of each year. *The figures for FY2017 were calculated by Statista based on the Japanese Yen figures provided by Sony and the exchange rate 110.9 between Yen and U.S. dollar that Sony used in the FY2017 financial report. Sony did not provide the segment USD figures directly in the report.